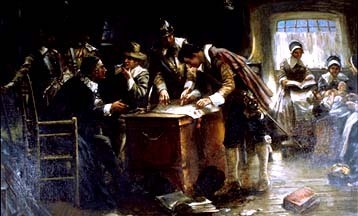 The Mayflower Compact was the first governing document of Plymouth Colony. It was written by the colonists, later together known to history as the Pilgrims, who crossed the Atlantic aboard the Mayflower. 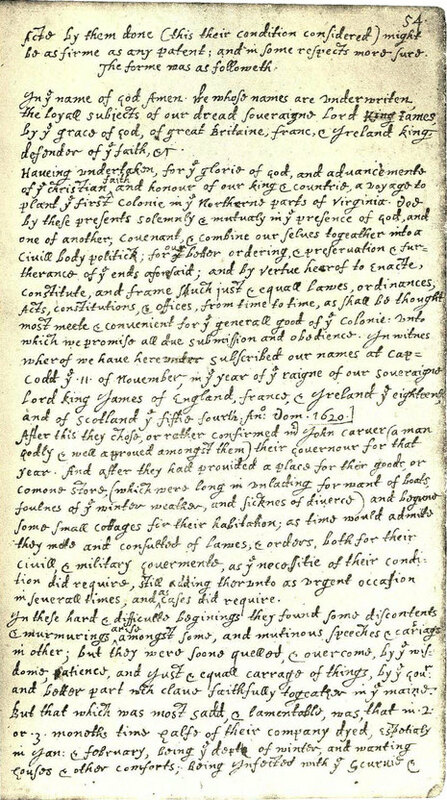 Almost half of the colonists were part of a separatist group seeking the freedom to practice Christianity according to their own determination and not the will of the English Church. It was signed on November 11, 1620 (OS) by 41 of the ship's more than one hundred passengers, in what is now Provincetown Harbor near Cape Cod. 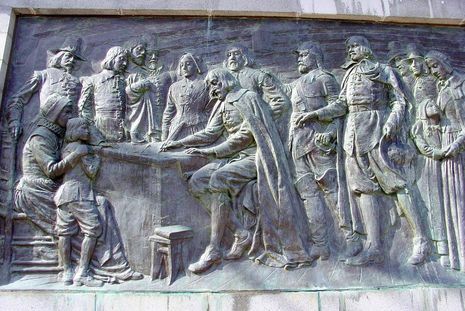 The Mayflower Compact is a written agreement composed by a consensus of the new Settlers arriving at New Plymouth in November of 1620. They had traveled across the ocean on the ship Mayflower which was anchored in what is now Provincetown Harbor near Cape Cod, Massachusetts. 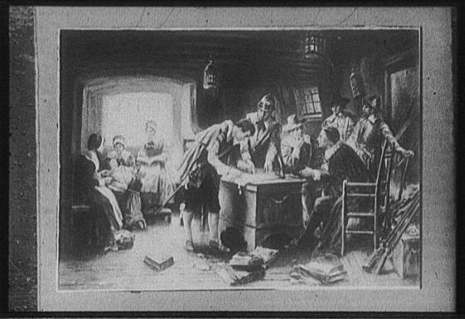 The Mayflower Compact was drawn up with fair and equal laws, for the general good of the settlement and with the will of the majority. The Mayflower’s passengers knew that the New World’s earlier settlers failed due to a lack of government. They hashed out the content and eventually composed the Compact for the sake of their own survival.